Travelers from around the world seeking to fly to the United States will soon face a new series of security hurdles before they’ll be allowed to enter the country. And if the airline they are flying is either unable or unwilling to comply with the new security measures being imposed by the Department of Homeland Security, the airline could lose its landing rights in the United States. “I am concerned that we are seeing renewed interest on the part of terrorist groups to go after the aviation sector—from bombing aircraft to attacking airports on the ground, as we saw in Brussels and Istanbul,” said John F. Kelley, the Secretary of Homeland Security. “However, we are not standing on the sidelines while fanatics hatch new plots. The U.S. government is focused on deterring, detecting, and disrupting these threats,” he said. “We cannot play international whack-a-mole with each new threat. 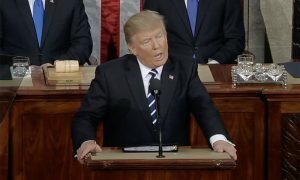 Instead, we must put in place new measures across the board to keep the traveling public safe and make it harder for terrorists to succeed,” he said. 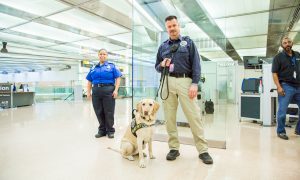 Deploying advanced technology, expanding canine screening, and establishing additional pre-clearance locations. Kelley said these measures could affect all commercial flights departing from 280 airports that serve as last points of departure to the United States. According to Homeland Security officials, the new restrictions affect 105 countries and a total of 180 airlines. On average, that’s 2,000 flights a day with 325,000 daily passengers. Currently, passengers traveling from airports in a total of eight Muslim-majority countries are prohibited from carrying laptop computers, iPads and other devices larger than a cell phone aboard direct flights the United States. Gulf airlines have been the most affected by the current restrictions. The department said the restriction on electronic devices on flights from those eight countries might be lifted when and if those airports and airlines adopt the new security measures. According to the Los Angeles Times, the United Arab Emirates ambassador in Washington, Yousef Al Otaiba, vowed to “strongly support and cooperate fully” with the Homeland Security rules, which he called “good news” for travelers on flights originating in or transiting the giant airport in Dubai.